Headquartered in Delavan, Wisconsin, Geneva Supply helps manufacturers with difficulties selling to online sources find and reach customers. 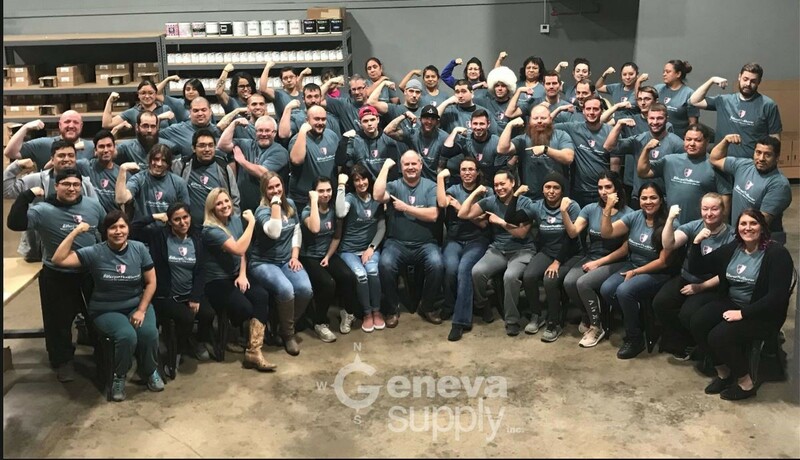 Partnering with over 100 manufacturers, Geneva Supply has assisted their clients with compliance, packaging, online marketing strategies, logistics, and representation with large online retailers like Amazon, Target, and Walmart. From hair care products and health supplements to plumbing fixtures, interior and residential barn doors, power tools, and organic oils, Geneva Supply has worked with a variety of vendors and helped them get their products to a broader market. Mark Becker, Brian Pollard, Gary Witt, Gregg Kunes, Jeff Peterson, and Michael Pokel–owners of Geneva Supply–saw an opportunity to purchase the building they were renting for their headquarters. Utilizing an SBA 504 loan provided by WBD and financing from First Midwest Bank, Mark, Brian, Gary, Gregg, Jeff, and Michael were able to purchase the real estate. Thanks to the sale, Geneva Supply will be better able to control costs and build equity. It also adds 30 new jobs to the Delavan community.